DebtGuru holds industry accreditations such as ISO. However, services are not available in all states. DebtGuru is an Internet domain for American Credit Foundation, and this foundation has been helping people with debt management since 1998. Based in Utah, the nonprofit organization helps those who need a little assistance with their creditors. Not only do they work with creditors, DebtGuru will also help educate you about the financial industry and how you can empower yourself. They are a third party administrator that disburses funds that are held in an FDIC account to many different financial institutions across the country. Over the years the credit card purchases, high interest rates, and maybe even a few late fees have gotten in the way of those well meaning financial goals. That’s exactly what DebtGuru.com is known for. They can make the collection calls stop, they can keep wage garnishments at bay, and can even reduce or eliminate late and over limit fees. An initial consultation is encouraged to help determine what path is most feasible for the potential client’s circumstances. During the consultation, consumers may be advised to participate in their free, no-obligation credit counseling service to determine the best plan of action. Once enrolled, clients may find their interest rates reduced to as little as zero percent with the average client showing a creditor interest rate at about 4.1 percent. One factor we appreciate about DebtGuru’s services is their ability to provide personalized customer care. They set clients up with a team of two representatives who are each fully accredited and certified with the NIFCE, and they remain with these individuals throughout the duration of the program. Upon request, they will also provide one-on-one client care with an Account Manager. 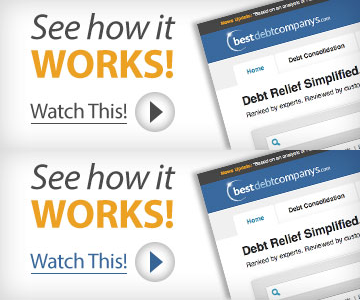 Their website displays an array of debt and financial related articles for consumers to absorb when trying to dig their way out of the dark hole of debt, along with customer testimonials exemplifying the excellence portrayed by this company. If DebtGuru.com isn’t certain that a consolidation plan is the best plan of action, those services will not be offered. Their objective is to not waste anyone’s time or money. The company is ISO certified to ensure high quality services are provided to consumers under strict regulation. Another potential drawback is the escrow account. Your monthly payment will already include the interest rate and is made straight to an escrow account for DebtGuru to divide among your creditors. Some people report feeling helpless or out of control when someone has to make their payments for them. Adding to the out-of-control feeling is the lack of online support. It seems an industry standard for this day and age is to incorporate an online client portal, enabling clients to manage their accounts and to view progress. This company does not provide that option. DebtGuru can be a great resource for knowledge in terms of total account management. They offer an informative blog for customers, and free debt counseling to get your finances in order. DebtGuru offers debt consolidation plans to further support debt relief goals. With every counselor certified by the NIFCE, a 15 minute phone call is certainly worth the time to find out how their innovative debt management programs can be tailored to meet your financial needs. However, their lack of information is concerning. We recommend researching this company further before making a final decision to work with them. As a non-profit credit counseling organization, DebtGuru provides certified counselors to assist consumers with credit and debt management counseling. DebtGuru provides an authentic debt consolidation for consumers through its debt management program. DebtGuru’s debt management program allows consumers to consolidate all of their unsecured debt payments into one monthly payment, while also lowering the interest rate on those debts. It also offer a variety of free debt management articles on its debt management blog.